“This generation will be running China in a few years. They are the next international politicians and business leaders, and their choices will affect us all,” says FRONTLINE producer Sue Williams about the new generation shaping China’s future. 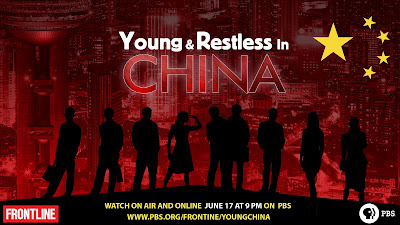 In Young & Restless in China FRONTLINE presents intimate portraits of nine young Chinese over the course of four years, examining the reality of their lives as they navigate their way through a country that is changing daily. They are westernized, savvy about today’s interconnected world, ambitious – and often torn between their culture and their aspirations. Set to an original soundtrack of Chinese rock and hip-hop music, this provocative film presents an in-depth look at what it means to be young and Chinese today.